One guess -- Yorkie or Silky? 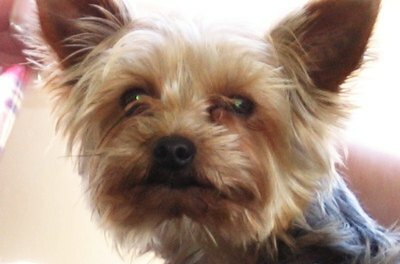 Yorkshire and Silky terriers are cousins, so to speak. Often mistaken for each other, their care needs are similar. Both were bred to hunt vermin, but it's safe to say that's no longer the primary reason to bring these toy terriers home. But if you've got mice, let them rip. How to tell the difference between the two breeds? First, the Yorkie is a lot more common, so if that's your first guess you're more likely to be right. Otherwise, the Silky is a little larger than the Yorkie, with slightly finer hair. Show dogs are clipped in different styles, with the Yorkie's coat allowed to grow longer than the Silky. If you're dealing with regular pet dogs, the type of haircut varies according to the groomer and the owner's wishes. Since both breeds are terriers, they retain that alert watchfulness typical of this canine type. Your terriers make good watchdogs, letting you know if anyone is at the door. As companion dogs, they need owners who can spend time with them and give them the necessary attention. Easily portable, these dogs can go wherever you go. They're usually friendly, happy little dogs. Feed these little guys a high-quality dog food, whose prime ingredient is meat. Read the labels carefully to ensure the food isn't full of fillers such as soy or wheat. Look for deboned chicken, venison, fish, lamb or beef on the label. The average small terrier, the size of a Yorkie or Silky, needs 450 calories daily. If your dog is very active, such as an agility competitor, increase the amount of food accordingly. To help clean the teeth, give your dog a small amount of good dry kibble every day. Don't let your dogs get fat. Obesity in dogs is just as dangerous as in people. Although the Yorkie's hair is more wiry than the Silky’s, the two breeds require similar amounts of grooming -- a lot on both counts. The Silky's hair doesn't shed, while the Yorkie only sheds a little. Brush your dog's hair several times a week, bathing them as needed with gentle shampoos. Take them to the groomer every other month or so to keep them in top form -- more often if you show your dogs. Clip the toenails every couple of weeks. Both breeds are good dogs for apartment life, not requiring a great deal of exercise. A walk around the block a couple of times a day should suffice, but if you want to do more with them, these terriers are up for that as well. Exercise your dog's mind as well. Smart little dudes, they do well in obedience, agility and other doggy sports. Are There Terriers Born Without Tails? When Do Mini Schnauzers Reach Maturity? 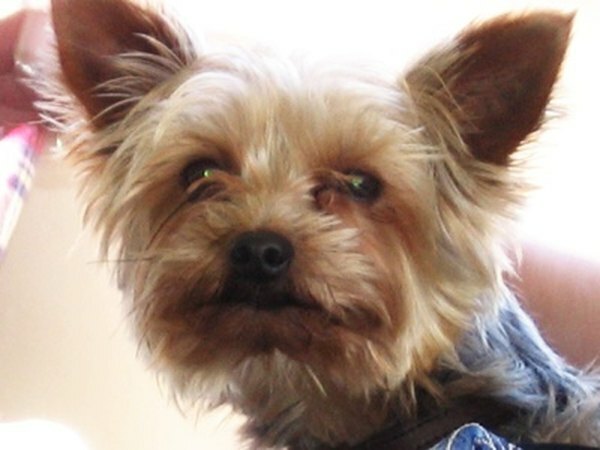 Can You Keep a Yorkie's Hair Short as an Adult? Do Silky Terriers Get Dry Skin?